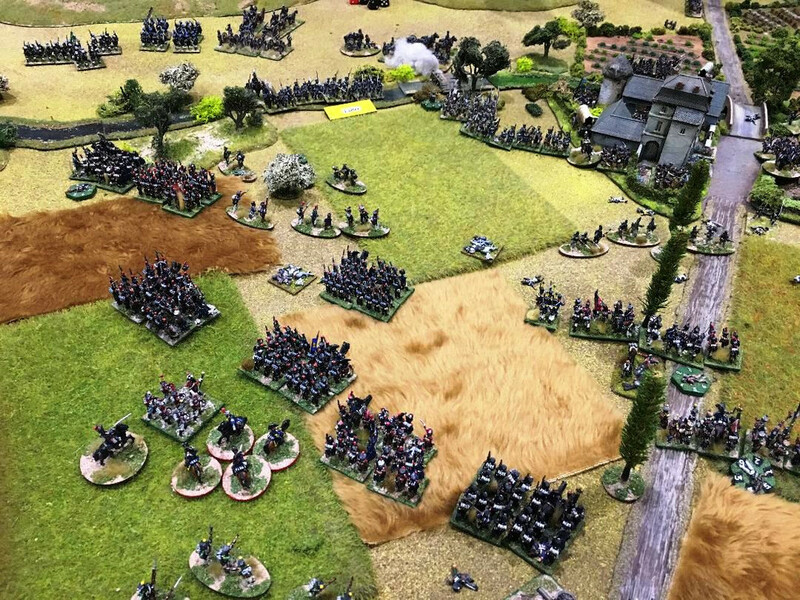 Loughton Strike Force is putting on the attack on Ligny 1815 at Salute this year. 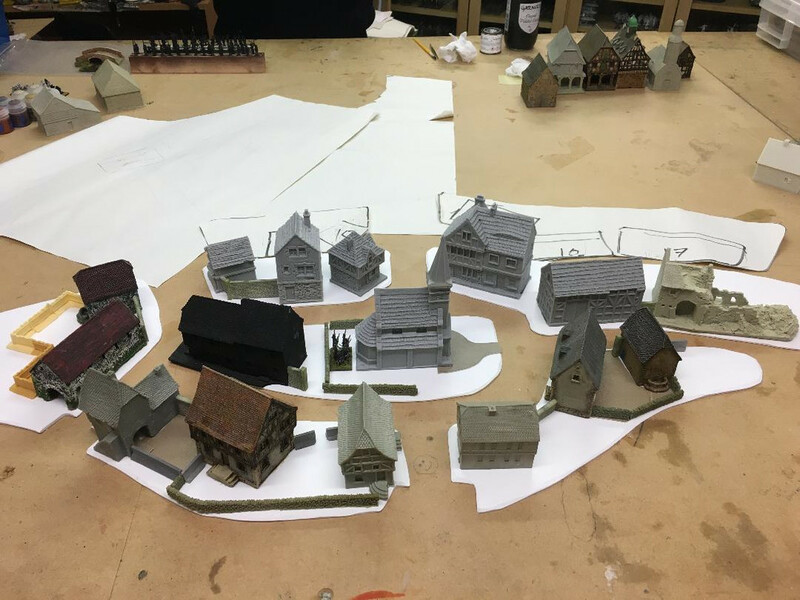 We've selected the main assault on the village itself and its immediate vicinity, so expanded the village and surrounding areas to ensure it's a fitting tribute for a Salute General d'Armee game. lovely wargames scenary. It is nice to see the chateau included for a change. There was a common, ie open space between the church and the stream which was tactically significant as was the quarry. Mudfords, the ruins of Ligny gives you the idea. The bridges were all wooden except the main bridge near the church which was stone. I researched this battle extensively for my re fight and if you want to pinch some ideas please feel free. Excellent work, can't wait to see the game in action. Nice work. Thanks for sharing; just stunning, museum quality work right there. Can't wait to see this in action during the game surrounded by troops…………incredible. At Salute we are on table GK09, which if I've orientated myself to the map correctly, is near the NW corner. Chris or anyone, does anyone have a good topo map of the battlefield. 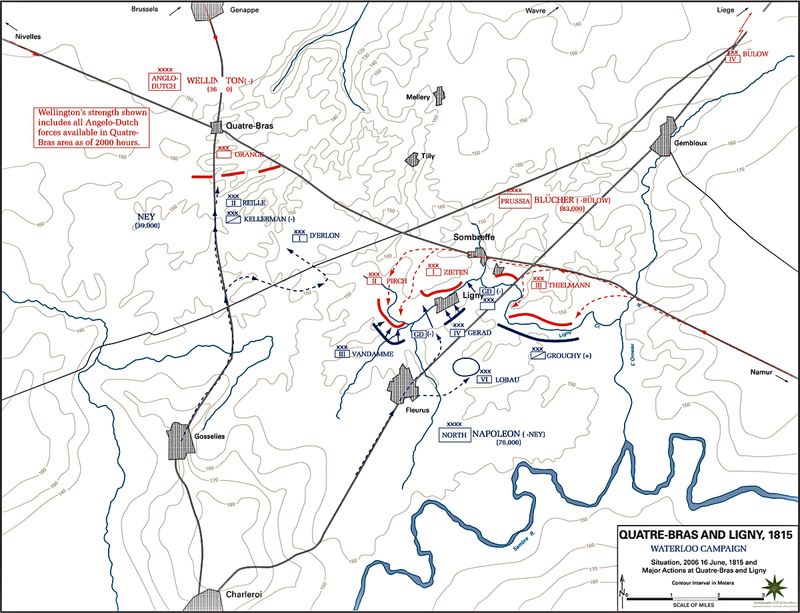 I can find lots of maps of the battlefield but no really good maps showing elevations as lines. 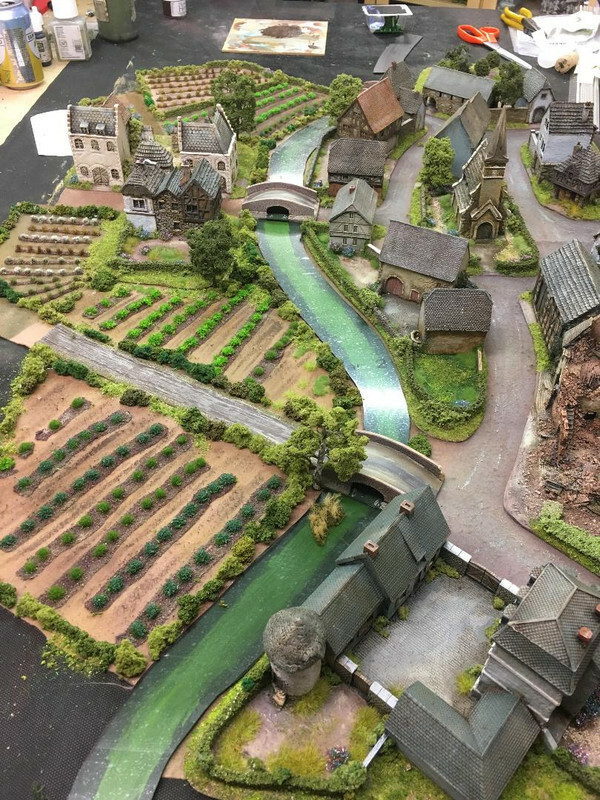 I want to make the battlefield for 6mm gaming. Doesn't Chandler's '100 Days' book have a contour map of Ligny? Chandler page 94. PM me on allan.mountford@outlook.com if you would like a scan. You might also find these informative links useful. Von Clauswitz who was present at the original action has an interesting analysis. De Wits work is useful for battlefield building. Google Earth is useful for a battlefield tour without leaving your house. Thanks Alan that is exactly what I was looking for. I will email you, if you could send me a scan that would be great. It was a very impressive table ! It was a great looking game. 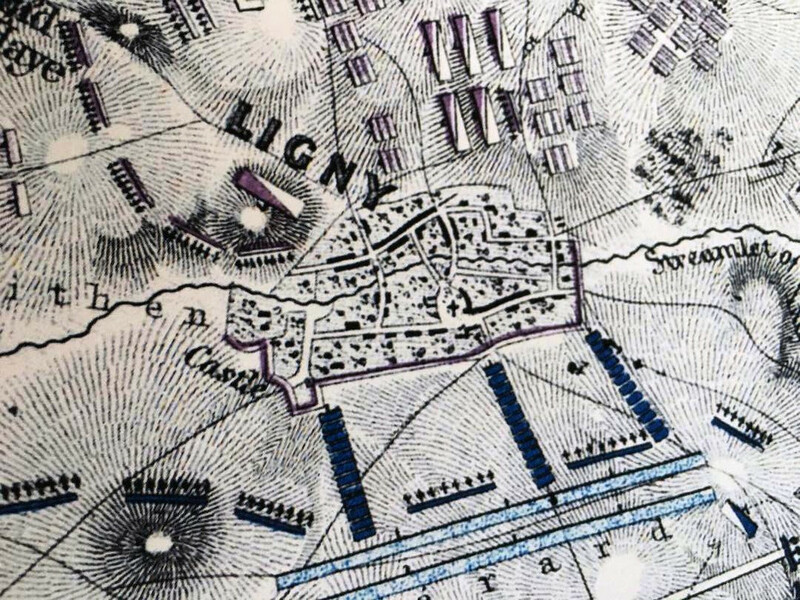 I especially liked the village of Ligny itself. It was great to have the game played by Salute participants rather than us! Impressive looking game. My group has done Ligny (using Shako II) and it is a difficult scenario to get right. The effects of terrain have to be carefully considered so as not to swing the scenario too easily from one side to the other. 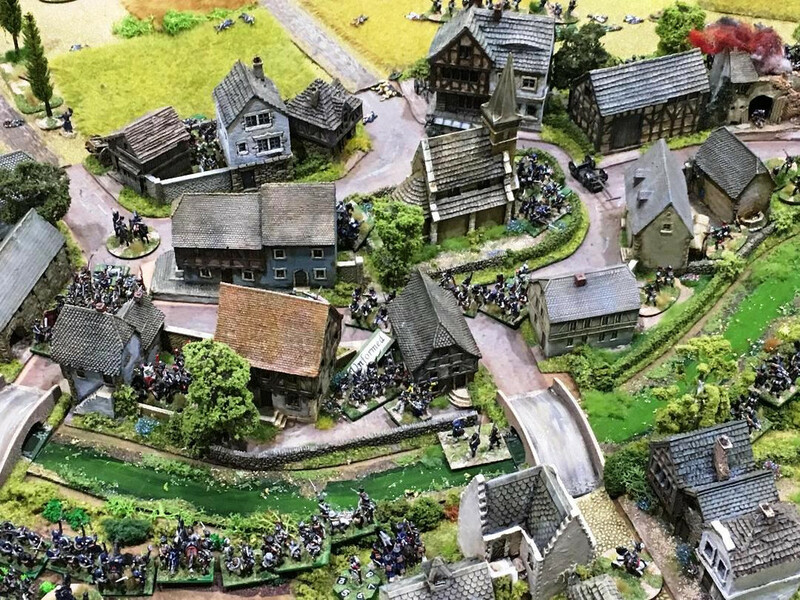 The Prussians are also very concentrated making them hard to dislodge but also hard for them to maneuver. We need to do this one again. The images are inspirational stuff.